So I've heard all sorts of different names for this tasty snack, but the official name for them is Muddy Buddies. This name comes from the source of the recipe, Chex. This is super quick to make & is always a crowd pleaser. Even if you're not big on cooking you will easily be able to make these & impress everyone with your skills. I mean it combines chocolate & peanut butter with a little crunch, what's not to love?! A great bonus is is that as long as you use the Corn Chex, they are completely gluten free! -Measure out the Chex & set aside. 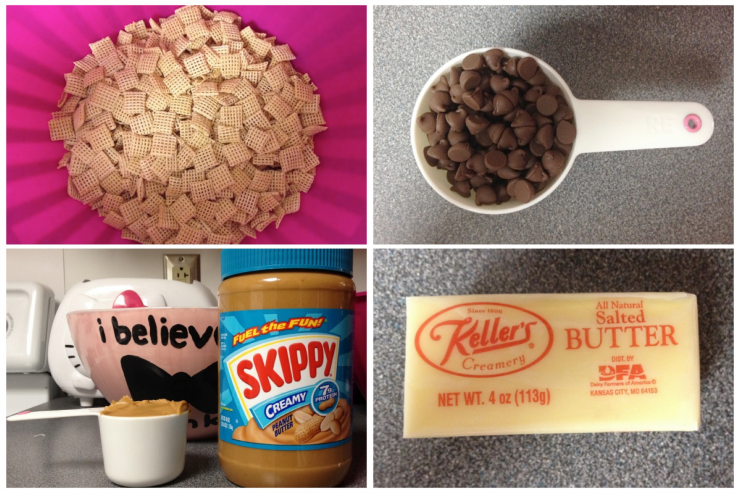 -Put chocolate chips, peanut butter, & butter in a microwave safe bowl (do not cover). -Microwave the chocolate chips, peanut butter, & butter on high for 1 minute. -Microwave 30 seconds more or until the mixture is completely smooth. -Pour the mixture over the Chex, stir until coated. -Pour the coated Chex into a large plastic bag, add the powdered sugar to the bag, & seal. I usually try to keep these on hand in case a chocolate craving creeps up on me. Before you make this though I do have to warn you that it can be very addictive, once you start eating it's hard to stop because it is so good! 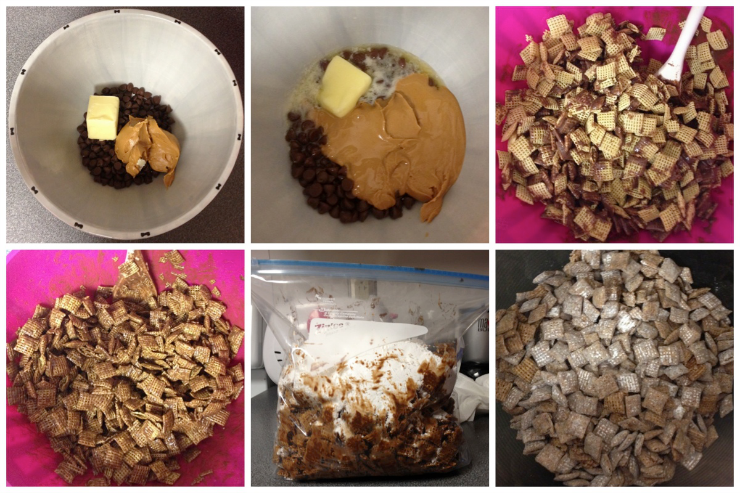 Have you every made Muddy Buddies before? Is there something else that you call this sweet treat? This is one of my favorite snacks of all time! Interesting recipe! Is it an hello kitty toaster what I see in your photo?! Love it! Looks so good. I'm about to run to the store and purchase the ingredients! I'm also super excited I found another Kristin! We spell it the same way! Yum! Fun recipe! Need to try it out soon! Hope you have a great start to your weekend. Happy Friday!